Stand up paddle boarding and rowing are an excellent way to sculpt your body, strengthen your core, improve your balance and increase your overall wellbeing. PaddleSculpt owner Dori Johnson’s passion for both sports has compelled her to bring SUP and rowing to others on an individual, group, and family level. Both are low impact sports that strengthens the core and tones every muscle. Expand your boundaries and see if you’ll enjoy both the leisure and fitness benefits of both. Release your routine by taking a lesson, paddle fitness or indoor rowing class and enjoy! Below is an overview of each sport. Stand Up Paddle Boarding (or SUP) is an emerging global sport whose roots run deep in Hawaiian history. The sport is an ancient form of surfing that originated in the Hawaiian Islands. The Hawaiian translation for SUP is Ku Hre He’s Nalu. Traced back to the early 1960′s surfers known as the Beach Boys of Waikiki, used to stand up and paddle out the break. Standing allowed instructors a higher viewpoint of their large groups of surfing students and help them take pictures of their students. Standing up also enabled them to better see the incoming swell. Fast forward to the present and SUP is one of the fastest growing sports in the world. SUP is an easy to learn water sport done on what is essentially an oversized (10-12ft) surfboard specifically designed for use on both flat water and surf. The volume of the board makes it so the rider is able to stand up and paddle with both mobility and stability. It is a new fun, amazing way to explore and experience the many rivers, lakes, streams, seas, and oceans. Because of the standing height over the water, one can see both deeper into the water and further across the surface of the water allowing better visualization of surrounding features. Stand Up Paddle Boarding is a multidimensional sport that promotes balance, strength, and endurance, and is one of the best workouts for developing core strength and overall fitness. Stand Up Paddling is easy to learn and is a non-intimidating sport that appeals to all ages and physical abilities. Paddlers are able to easily progress and develop their skills to improve their strength and fitness. SUP allows you to enjoy local waters of your community while giving you a complete workout. 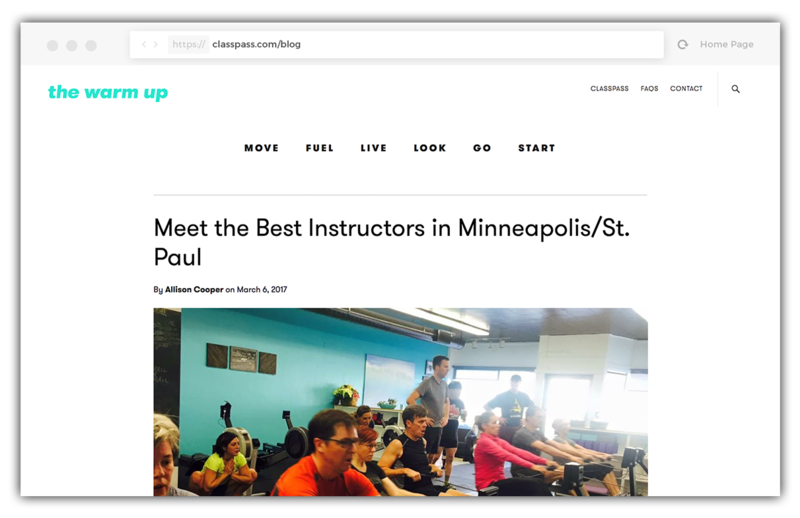 Dori has been chosen by Classpass as one of the best instructors in MSP! Rowing builds both cardiovascular endurance and strength through repetitive resistance training. Modern indoor rowers are often known as ergometers, or ergs. An erg is a machine used to simulate the action of watercraft rowing for the purpose of exercise or training for rowing. An ergometer being a device which measures the amount of work performed. The indoor rower is calibrated to measure the amount of energy the rower is using through their use of the equipment. Indoor rowing has become established as a sport in its own right. Indoor rowing primarily works the cardiovascular systems with typical workouts consisting of steady state pieces. Like other forms of cardio focused exercise, interval training is also commonly used in indoor rowing. While cardio focused, rowing also stresses many muscle groups throughout the body anaerobically, thus rowing is often referred to as a strength-endurance sport. In addition to the high levels of fitness attained, rowing is an intense calorie burning exercise. With proper technique, the ergometer is an excellent tool for use in a weight loss program. The standard measurement of speed on an ergometer is generally known as the “split”, or the amount of time in minutes and seconds required to travel 500 meters. A split of 2:00 represents a speed of two minutes per 500 meters. The split does not necessarily correspond to how many strokes, also called the “rate” rower takes, since strokes can vary in power. With a RowSculpt class, be a part of a uniquly motivating, metabolism revving, team oriented environment while you strengthen and sculpt your body.